Prevention of cancer through lifestyle choices beyond smoking – such as better diet and increased physical activity – is an increasingly important aspect of preventing and managing the disease. The Scottish Cancer Prevention Network brings together experts working in all of the major areas of cancer, and includes representatives from cancer agencies, Government, public health and cancer care professionals. More than 70 of them will gather for the Network’s annual conference on Friday November 9th. “There is increasing evidence of the impact of weight management, physical activity and diet on preventing and managing cancer,” said Annie Anderson, Professor of Public Health Nutrition at the University of Dundee and co-organiser of the conference. “Applying that to the population at large is something that will engage multiple agencies. What we look to do through the Network and events like this is bring all of these people together to examine the best ways forward. The conference, titled `Translating lifestyle theory to healthy practice for the reduction of cancer occurrence and recurrence’, takes place at the Melting Pot in Rose Street, Edinburgh, on Friday November 9th. The keynote speaker is Professor Wendy Demark-Wahnefried, who is the Webb Endowed Chair of Nutrition Sciences and Associate Director for Cancer Prevention and Control at the University of Alabama at Birmingham’s Comprehensive Cancer Centre. Her research career has spanned basic science studies focused on determining mechanisms of action of food-related components on neoplastic progression, to clinical research that involves nutrition-related concerns of cancer patients, as well as determining effective lifestyle interventions that improve the overall health of cancer survivors and their families. She is a key advisor to the American Cancer Society. Further speakers at the event include Dr Aileen Keel, Deputy Chief Medical Officer and Head of the Scottish Cancer Task Force. The Scottish Cancer Prevention Network is funded by The Scottish Cancer Foundation. 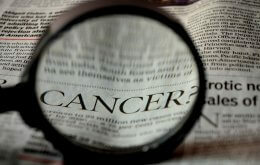 The Network is focussed on moving evidence on cancer risk reduction into everyday life, practice and policy. www.cancerpreventionscotland.co.uk.